Peru! The fabulous Inkan Empire! Those equally fabulous ancient ruins. It wasn't enough just to read about this and look at photographs that other have taken and published. No, as time went on, I found myself desiring more and more to get to Peru and see all these ancient wonders for myself. In the spring of 1998 I happened across a fascinating book by Elizabeth Jenkins, Initiation: a Woman's Spiritual Adventure in the Heart of the Andes. (Putnam, 1997) Elizabeth, from California, described her adventures during her several visits and stays in Peru, her meetings with a shaman who taught her about nature spirits called apus and ñust'as and how he worked with them. She attended many group sessions at this shaman's home. But when she decided there must be a better way, then she met Juan Nuñez del Prado, who told her about the different levels of awareness or consciousness as perceived by the ancient Andeans. Over a period of several months, Elizabeth met with Juan. learning more about working with the natural energies all around us. Then he told her that if she brought people back to Peru, he would take them on a ten-day initiation journey. The second half of her book describes her experiences during this ten-day process. As soon as I finished reading her book, I 'knew' without a doubt that this was to be the next step on my spiritual path. I discovered her website, Wiraqocha Foundation for the Preservation of Indigenous Wisdom, and found that she now sponsors trips to Peru for this purpose! I signed up for the trip scheduled for October, 1998. I met up with the rest of the group at the Dallas, Texas, airport. We were all from the USA, except for Hendrick, from Amsterdam. Only one other man was among all us 'hens.' Ken and Pat, a married couple from Virginia and I from New Jersey were the only non-Californians! Ali, Debra, Kas, Linda and Paige, the Californians, made up the rest of our group. We learned that Heather from Florida would be joining us later. Elizabeth leads some trips, but due to her busy schedule teaching workshops in the United States, she has trained several other people to lead some of the trips for her. So this trip was led by Jeannette Monterio, another Californian. We boarded an American Airlines plane for an over-night flight to Lima. In the Lima airport we had to retrieve our luggage and take it to the Aero Peru counter for checking through to Cuzco. After boarding this plane, Jeannette discovered that the Peruvin priest/shaman who was going to lead us, Juan Nuñez del Prado, was sitting a few seats in front of us! I had my eyes glued to the wonderfully awesome sights we were flying over. The mighty Andes seemed small enough to be conquered by a mere mortal such as I, due to our perspective from on high. At Cuzco's airport, Juan introduced us to Eddie, our bus driver, also a native of Cuzco who doesn't speak a word of English. Fortunately, two people in the group, Hendrick and Ali, do speak excellent Spanish. So with their help, we found out what was going to happen for the rest of the day. In Cuzco, we stayed at a fairly new hotel, the Libertador, also called Golden Tulip Hotel Libertador Cusco. We were right across the narrow street from the Santo Domingo Temple of the Sun. This monastery or convent was built right over the Inkan Qorikancha, or Temple of the Sun. Our hotel occupies practically the whole block. Its very plain exterior belies the opulence of the interior. The large public areas--the lobby, an enclosed patio, and a central atrium with glass walls and doors and a fountain--occupy the center. The corridors off of which open the restaurant, bar, business center, coffee shop, gift shop, the elevators and some of the rooms are all arranged along the four sides of the perimeter. The way to our rooms seemed to take us clear to the back of the hotel, far enough that I huffed and puffed if I tried to walk fast. The food served in the hotel restaurant, the Inti Raymi, was delicious. For supper on a couple of nights I had a most wonderful quinoa soup, very delicately flavored. Quinoa is the grain raised at the higher elevations where corn won't grow. Related to our North American lamb's quarters (Chenopodium), quinoa looks like small millet. Its protein and carboyhdrates pack quite a wallop of energy, just the kind of food one needs to cope with this 'high living.' Each morning we stayed in Cuzco, we'd have the breakfast bar at the Inti Raymi. In addition to the usual eggs and cereal, they offered several kinds of fresh tropical fruits and fruit juices. Each morning our wonderful driver, Eddie, would show up with our little bus and wait patiently while we exchanged money with a man Juan said was very trustworthy, bought water bottles for the day and bargained with the ever-present street vendors. Usually several Indian women and girls stationed themselves outside the hotel where the buses parked. On most days they'd have at least one adult llama and a baby which a little girl held. The baby attracted quite a lot of attention. People who wanted to take pictures of the girl and baby llama paid one or two soles. The women sold well-made colorful Andean sweaters, hats and blankets. One woman seemed to specialize in jewelry of the rather cheaply made variety. These very poor people had a ready smile for everyone, which displayed their bad teeth. Wearing fully gathered tattered skirts, blouses and colorfully striped and patterned shawls that had seen better days, nevertheless these women offered new clothing for sale. They couldn't afford to wear any of their wares. Eddie's bus was old but well maintained. Juan told us that he and Elizabeth Jenkins, for whose Wiraqocha Foundation he was conducting these initiation trips, believe in paying a good worker very well. This way they know that they can count on the best service. Eddie has been driving for Juan for quite a few years apparently. Eddie is a native of Cuzco who doesn't speak a word of English, but he took great care of us during our time in and around Cuzco. Fortunately two of our group, Hendrick and Ali, speak excellent Spanish, so with Juan, they managed to interpret for the rest of us. Eddie has quite a collection of tapes of Andean music which he'd play for us on the longer trips. He didn't just drive the bus! He really looked out after our interests and well-being on the road, at the places we stopped and in the restaurants, too. Eddie seemed to always be smiling and to enjoy life to the fullest. We came to care about Eddie very much during our too-short stay in Peru. Eileen Nauman, a certified homeopathic practitioner, had suggested that I use a "paper remedy" to cope with the high altitude. This means writing "Coca Leaves 3X" (or 6X) on a small piece of paper and taping it to my left side. A paper remedy is as effective as the more usual version of homeopathic remedies, when they are not available. But, having forgotten to take along my ginkgo biloba extract (which helps me cope with the high altitude in the Colorado Rockies), I also started drinking the coca leaf tea served by all the hotels and restaurants in the high altiplano in which lie Cuzco and the ruins we'd be visiting. Well, at the end of the 2nd day, I had such a massively ferocious headache that I succumbed to taking some Diamox pills one of the other gals gave me. That cleared up the headache. But after another cup of coca leaf tea, the headache almost immediately came back! Finally I figured out that the coca tea was giving me the headache, not the high altitude! I suppose drinking the tea plus the paper remedy may have been too much. So I used neither from that time on and had no more headaches. But the effects of engaging in strenuous activity in this high altitude caught up with me later on. I'd also taken along one of Eileen Nauman's flower essences, Chaparral, since it had gotten me over achy joints at home in New Jersey--and it helped in Peru, when I remembered to take it 4X a day! Most days, though, my knees and ankles ached, which made climbing stone steps and coming back down them a major chore, along with lungs gasping for enough oxygen to support the physical activities. 1. An internationally known and published anthropologist. 2. Professor emeritus of San Antonio Abad University of Cuzco. 3. A visiting Scholar at Virginia Commonwealth University in Richmond, VA, USA, in the spring semesters of 1997 and 1998. 4. Lectured at Randolph Macon College in Ashland, VA, and George Washington University in Washington, D.C., USA. 5. An expert in Jungian psychology. 6. Presents workshops and seminars on the Andean tradition and energy work throughout the United States and Europe. 7. Has been studying the Andean traditions for 30 years, training with Q'ero priest/shamans. 8. His main Andean master in this tradition was don Benito Qoriwaman, who made Juan study for 10 years before allowing him to receive the Hatun Karpay initiation into the fourth level of this Andean mystical path. 9. Speaks at least three languages: his native Spanish, English and Quechua, the indigenous Andean language. Also possibly Italian, as he travels to Italy regularly to teach and lecture. 10. A scholar of the world's major belief systems and civilizations. Juan's wife is also an anthropologist. Their son, Ivan, was the first person Juan trained to be qualified to offer the Hatun Karpay initiations. How lovely that Juan has the support and interest of his family. Juan Hector was Juan's assistant for most of our journey. 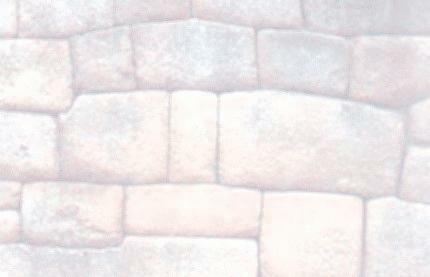 He is a gifted teacher and mystic, also a a resident of Cuzco. He has been initiated as a fourth-level Andean priest, a kurak akulleq. To quote Barbara Perrins, "Juan Hector has a deep understanding of the connection between humans and nature, humans and the spirit and the sacredness of nature. His extensive work with Andean communities and his intuitive skills and knowledge of group dynamics make him one of BPA's most trusted and valued collaborators." Juan Hector is studying English and has traveled to Virginia, USA, for residence courses in English as a Second Language. To differentiate between the two Juans when speaking, we referred to Juan Hector as Juanito. Expanding on Juan's interests and studies mentioned in Number 10 above, the following is a summary of Juan's theory that he shared with us. I wish he'd get around to writing a book about this! Based on the Andean perspective of the natural energies of which we and our world are composed, Juan feels that civilizations evolve through certain levels of consciousness, just like individuals do. For after all, civilizations are congregations of individuals. The first three levels of consciousness are fear-based. Once enough individuals in a civilization are willing to give up their fear-based behaviors, the whole civilization moves up to the fourth level. Civilizations rise and fall through the various levels. A few civilizations have attained the fourth level and beyond. But none have been able to sustain the higher levels for very long. Juan believes that the Inkan Empire attained the highest level of all the civilizations we have been able to obtain information about. But even they weren't able to sustain their high level for very long. The Inkan Empire had already started its decline when the Spaniards arrived and greatly accelerated the process. Juan is hoping that the Inkan prophecies will come true. More on these later. He is devoting his efforts to helping people become more open and aware of the subtle energies of which our world and we are composed, thus helping both these individuals and by extension the world's cultures realize their full potentials.